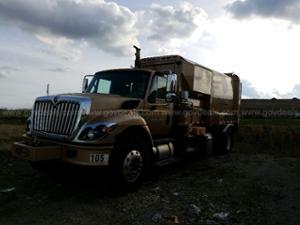 Description:Used 2006 International 9000i for sale - Call with 700,022 miles. Online Government Auction - Ends 5/1/19 **BID PRICE REFLECTS CURRENT HIGH BID AND IS SUBJECT TO CHANGE AT ANY TIME DURING THE ONGOING AUCTION** 2006 International 9000i SFA, 14.9L L6 DIESEL. VEHICLE HAS NO MAINTENANCE RECORDS. VEHICLE STARTS WITH BOOST AND RUNS. ENGINE IS IN UNKNOWN CONDITION. TRANSMISSION IS A 10 SPEED EATON FULLER TRANSMISSION IS IN UNKNOWN CONDITION. DRIVE TRAIN IS IN UNKNOWN CONDITION DATE REMOVED FROM SERVICE 3/11/2019. BODY HAS MINOR SCRATCHES AND DINGS BUT HAS DAMAGE TO SLEEPER AND HEAD ACHE RACK AND PICTURES INCLUDED. HAS NEW CLUTCH AND EGR AND TURBO WAS REPLACED TWO YEARS AGO. VEHICLE WAS SERVICED EVERY 12,000 TO 15,000 MILES. BATTERIES WON'T STAY CHARGED WHEN NOT RUNNING. BOTH SEATS ARE AIR RIDE AND ADJUSTABLE AND PICTURE INCLUDED. SLEEPER AND HEAD ACHE RACK DAMAGED AND PICTURES INCLUDED. MISSING ONE AIR HOSE FOR TRAILER BRAKES AND PICTURE INCLUDED. SLEEPER HAS A/C CONTROLS AT BUNK AND PICTURE INCLUDED. HAS STORAGE UNDER BUNK AND PICTURE INCLUDED. INSIDE DAMAGED TO SLEEPER AND PICTURE INCLUDED. HAS THREE SMALL CHIPS ON LOWER D/S OF WINDSHIELD. HAS A AIR HOSE NOZZLE INSIDE CAB AND PICTURE INCLUDED. DECALS HAVE BEEN REMOVED AND IMPRESSIONS REMAIN. TIRES HAS FAIR TREAD DEPTH AND PICTURE INCLUDED. A/C IS IN WORKING CONDITION. VEHICLE IS EQUIPPED WITH TILT STEERING AND STOCK AM/FM CD RADIO SOUND SYSTEM. GovDeals.com - Bid on Government Auctions to buy Government Surplus. 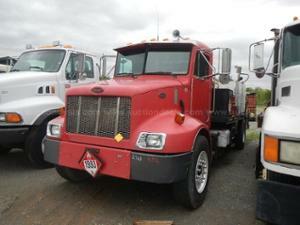 Description:Used 2001 International 4900 for sale - Call with 76,181 miles. Online Government Auction - Ends 5/1/19 **BID PRICE REFLECTS CURRENT HIGH BID AND IS SUBJECT TO CHANGE AT ANY TIME DURING THE ONGOING AUCTION** DETAIL: Title : Clear Fuel : Diesel Engine : N/A Transmission : Automatic Hours : 4563 Color : Yelloow FEATURES : Please See Photos DESCRIPTION : This vehicle was started and driven. Starts right up, runs good. Was able to get all stabalizers to come out but as soon as i tried to run hoist motor died as described by agency as having bad batterys. Comes with operators manual and would advise inspection prior to bidding. OWNING AGENCY STATES : Vehicle runs and drives. 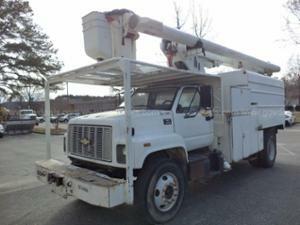 BAD BATTERIES 54FT MAIN LIFT W/O PEDESTAL GovDeals.com - Bid on Government Auctions to buy Government Surplus. Description:Used 2009 Thomas Saf T Line C2 for sale - Call with 145,362 miles. 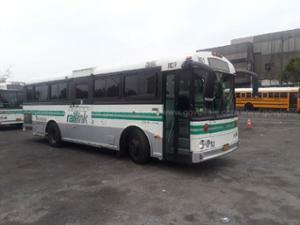 Online Auction for Government Surplus – QAL # 8831-170 - Ends 5/3/19 **PRICE REFLECTS CURRENT HIGH BID AND IS SUBJECT TO CHANGE AT ANY TIME DURING THE ONGOING AUCTION** 2009 Thomas Saf-T-Liner passenger Bus. Metro North is retiring asset M29, the Thomas Saf-T-Liner 30foot bus with seating for 30 and side access wheel chair accessibility. The bus is in good condition, and No known major problems. The vehicle has minor dents scratch and rust. GovDeals.com is the online auction platform where you can bid on and buy government surplus. Description:Used 2006 Sterling L7500 for sale - Call with 11,354 miles. 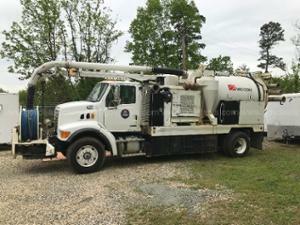 Online Government Auction - Ends 5/1/19 **BID PRICE REFLECTS CURRENT HIGH BID AND IS SUBJECT TO CHANGE AT ANY TIME DURING THE ONGOING AUCTION** 2006 Sterling L7500 CONVENTIONAL CAB, 7.2L L6 DIESEL. Vac Con Model VPD4290/1000/SHA Miles: 11,354.9 Hours: 2,495.8 Pony Motor Hours: 400.7 This unit was purchased new and used until the days it's replacement arrived 3 week ago. When tested on 4/24/19 the unit started, moved in forward and reverse, and all equipment tested was operational. This unit was replaced due to age. No know issues at this time. GovDeals.com - Bid on Government Auctions to buy Government Surplus. Description:Used 2008 Chevrolet C4500 for sale - Call with 63,266 miles. 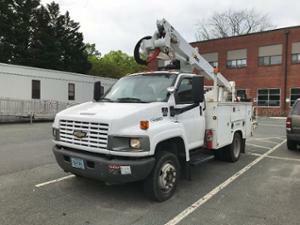 Online Government Auction - Ends 5/1/19 **BID PRICE REFLECTS CURRENT HIGH BID AND IS SUBJECT TO CHANGE AT ANY TIME DURING THE ONGOING AUCTION** 2008 Chevrolet C4500 W/ Altec Model AT35-G Bucket Engine: 6.6L V8 OHV 32V TURBO DIESEL Trans: RDS-1000 PTO Hours: 1,498.6 Miles: 63,266 Tow: Pintle Hook Vehicle Weight: 5,810 LBS GVWR: 17,500 LBS Ground to Boom Platform: 36.1 FT Rotation: 370° Non-Continuous This unit was bought new and used until the day its replacement arrived. Removed from service due to age. 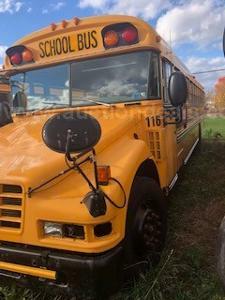 When tested on 4/24/19 the unit started and moved in forward and reverse Noted Damage: Spot light housing missing / seats torn / some tire tread low GovDeals.com - Bid on Government Auctions to buy Government Surplus. Description:Used 2010 Chevrolet Express G4500 for sale - Call with 158,030 miles. Online Auction for Government Surplus - QAL #614-865 Ends 5/8/19 2010 Chevrolet Express G4500 MOTORIZED CUTAWAY, 6.6L V8 OHV 32V TURBO DIESEL. Vehicle engine starts, check engine light is on. Maintained every 4000 miles. Automatic transmission, 6-speed/2 WD. White, Orange, and Blue exterior/minor scratches/no window cracks. Tire condition is fair. Decals have been removed and impressions remain. Paint coming off hood area. Grey cloth interior/seats are worn and broken. AM/FM CD radio. Cold AC. Air Bags: Driver’s Side/Dual. Cruise control/tilt steering/remote mirrors/power steering, windows, door locks, and seats. Description:Used 2001 International 4700 for sale - Call with 54,462 miles. Online Government Auction - Ends 5/6/19 **PRICE REFLECTS CURRENT HIGH BID AND IS SUBJECT TO CHANGE AT ANY TIME DURING THE ONGOING AUCTION** 2001 International 4700 CONVENTIONAL CAB, 7.6L L6 DIESEL. 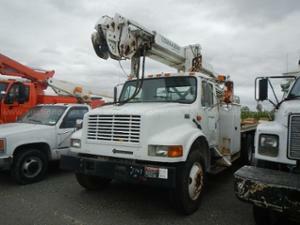 Terex Telelect Commander Digger Derrick on 2001 International 4700 S/A Truck VIN # 1HTSCAAN01H341873. Meter Reading 54,462 Miles International DT466 7.6L Diesel Engine, 245 Adv. Horsepower, Eaton Fuller 6 Speed Manual Transmission, 188" Wheel Base, 4x2, Terex Telelect Commander C4047 Over Rear Axle Mount Boom, Telescopic Boom, Insulated Boom, Turret Mounted Winch, Utility Body, Spring Type Suspension, Air Conditioning, Cruise Control. Gently used Truck, One Owner, Well Maintained, Comes with Original Factory Paint. 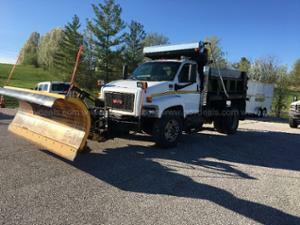 Truck is one in a fleet replacement and is in good running condition. Located in AR 72086. To see the auction page, please CLICK HERE. For questions about AuctionDeals and/or the registration/bidding process, please CLICK HERE. AuctionDeals.com, powered by GovDeals, is the online auction platform where you can bid on and buy commercial inventory. Description:Used 2012 International Pro Star for sale - Call with 475,700 miles. Online Commercial Auction - Ends 5/6/19 **BID PRICE REFLECTS CURRENT HIGH BID AND IS SUBJECT TO CHANGE AT ANY TIME DURING THE ONGOING AUCTION** 2012 International Prostar TRACTOR TRUCK, 13.0L L6 DIESEL. 2012 International ProStar 122 T/A Sleeper Truck Tractor. Serial Number 3HSDJSJR9CN543972. Meter Reading 475,700 miles. 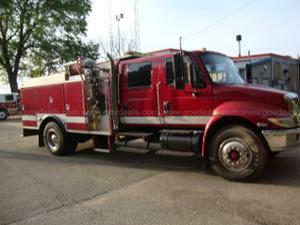 Location Lonoke AR International MaxxForce 13 13.0L Engine, Engine Brake, Eaton Fuller 10 Speed Manual Transmission w/ 2 Speed Rear Axle, 12,000 lb. Front Axle, 20,000 lb. Rears, 52,000 lb. GVWR, 72” Sky-Rise, Air Ride Cab, Air Ride Suspension, Sliding 5th Wheel, Sun Visor, Cab Extenders, Side Fairings, Chrome Bumper, Air Conditioning, Cruise Control, Power Windows, Power Locks, Power Mirrors, Heated Mirrors, Dual High Back Seats, Multifunction Steering Wheel, Tilt Steering Wheel, Telescopic Steering Wheel, Sleeper Workstation, Sleeper Fridge, Dual Bunks, Sleeper Climate Controls, Auxiliary Power Unit. 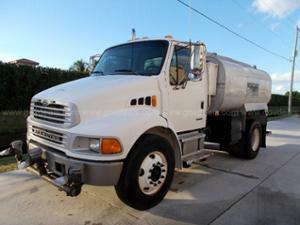 This truck is one in a fleet replacement and is in good running condition. Located in AR 72086. AuctionDeals.com, powered by GovDeals, is the online auction platform where you can bid on and buy commercial inventory. Description:Used 2003 Peterbilt 330 for sale - Call with 274,600 miles. 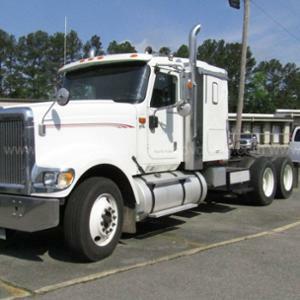 Online Government Auction - Ends 5/6/19 **BID PRICE REFLECTS CURRENT HIGH BID AND IS SUBJECT TO CHANGE AT ANY TIME DURING THE ONGOING AUCTION** 2003 Peterbilt 330 CONVENTIONAL CAB, 7.2L L6 DIESEL. 2003 PETERBILT 330 FUEL/LUBE TRUCK, Hydraulic Driven Air Compressor, Hydraulic Product Pumps, Fuel Meter, Grease Barrel, Spring Type Suspension, Cat 3126 Diesel Engine, 350 Adv Horsepower, Eaton Fuller 8 Speed, Manual Transmission, 189" Wheel Base, 12,000 lb. Front Axle, 21,000 lb. Rear Axle, 33,000 lb. GVWR, Sun Visor, Chrome Exhaust, Air Conditioning, Heated Mirrors, Meter Showing 274,600 miles, 22.5 Tires on Hub Pilot, 18' Bed, 1000 Gallon Fuel Capacity, Oil & Grease Tanks, Hose Reels, Ingersoll Rand,T30 Gas Powered Air Compressor. This truck is in good running condition. To see the auction page, please CLICK HERE. For questions about AuctionDeals and/or the registration/bidding process, please CLICK HERE. AuctionDeals.com, powered by GovDeals, is the online auction platform where you can bid on and buy commercial inventory. Description:Used 1991 AM General M998 for sale - Call with 383 miles. 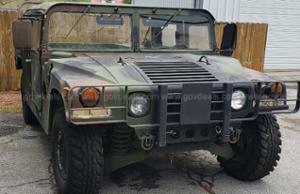 Online Government Auction - Ends 5/2/19 **BID PRICE REFLECTS CURRENT HIGH BID AND IS SUBJECT TO CHANGE AT ANY TIME DURING THE ONGOING AUCTION** 1991 AM General Humvee Starts & Runs ( with a boost) Auto Transmission is operable Exterior color is Camo minor dents dings and scratches. Heavy duty front bumper/ brush guard. Tires (see photos) Taken out of service about 1-1 1/2 years ago No longer need by department Have clear Virginia title in hand Over heats when running, no water/antifreeze in oil. Blue lights in windshield will be removed before auction ends GovDeals.com - Bid on Government Auctions to buy Government Surplus. 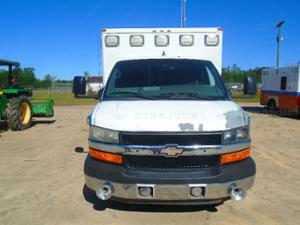 Description:Used 2002 Chevrolet C8500 for sale - Call with 77,679 miles. 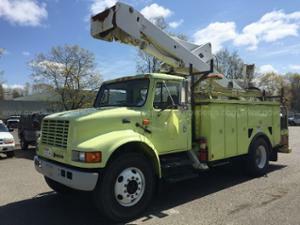 Online Government Auction - Ends 5/2/19 **PRICE REFLECTS CURRENT HIGH BID AND IS SUBJECT TO CHANGE AT ANY TIME DURING THE ONGOING AUCTION** 2002 CHEVROLET C8500 TRUCK, WITH ALTEC LRV55 BOOM WITH CHIP BODY. ENGINE: 6 CYL, 7.2L CATERPILLAR DIESEL. MILES: 77,679. EQUIPMENT HOURS: 9,909. EXT & INT COLOR: WHITE WITH GRAY INTERIOR. THIS VEHICLE STARTS, SEE BELOW FOR AREAS OF CONCERN. THIS VEHICLE WAS ON A SCHEDULED PREVENTIVE MAINTENANCE PROGRAM WHILE IN SERVICE. THIS VEHICLE HAS NOT UNDERGONE ANY DIAGNOSTIC ANALYSIS OR ESTIMATE OF NEEDED REPAIRS. A/C AND TILT STEERING WHEEL. TIRES: FAIR. DAMAGE TO INTERIOR: DAMAGE TO SEAT WITH WEAR AND TEAR. DAMAGE TO EXTERIOR: MINOR RUST, SCRATCHES AND DENTS TO TOP OF DUMP BED. VEHICLE MAY HAVE EXPOSED WIRES ON THE INTERIOR AND HOLES ON THE EXTERIOR FROM EMERGENCY EQUIPMENT REMOVAL. OPTIONAL EQUIPMENT: BOOM IS A ALTEC MODEL# LRV55. GovDeals.com - Bid on Government Auctions to buy Government Surplus. Description:Used 2002 Ford F450 for sale - Call with 108,745 miles. 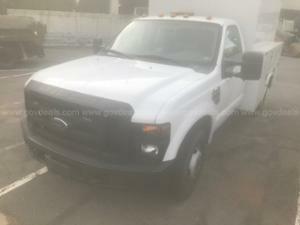 Online Government Auction - Ends 5/2/19 **BID PRICE REFLECTS CURRENT HIGH BID AND IS SUBJECT TO CHANGE AT ANY TIME DURING THE ONGOING AUCTION** 2002 Ford F-450 SD Regular Cab DRW CHASSIS AND CAB, 6.8L V10 Transmission: Manual ZF6 Speed with New Clutch, Pressure Plate, Throw Out Bearing and Flywheel, New Clutch Hydraulics - Master Cylinder, Slave Cylinder and Line Kit Tires: Michelin Like new Tires all round Equipment: Tow Package, Heat and A/C works, Am/Fm Radio, & Step Bars Dump Bed: Hydraulic Crystal Dump Bed - 11ft with roll up top GVW: Front 5,600 / Rear 11,000 / Total 15,000 Notes: Used daily until removed from service. Vehicle has a few dings and scratches No Known Mechanical Issues GovDeals.com - Bid on Government Auctions to buy Government Surplus. Description:Used 2007 GMC C7c042 for sale - Call with 84,044 miles. Online Government Auction - Ends 5/1/19 **BID PRICE REFLECTS CURRENT HIGH BID AND IS SUBJECT TO CHANGE AT ANY TIME DURING THE ONGOING AUCTION** 2007 GMC C7C042 CONVENTIONAL CAB, 7.4L V8 OHV 16V. Exterior: White Interior: Brown We bought this vehicle new. It was used in snow removal. 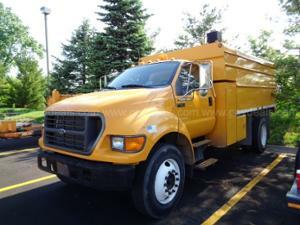 10' Snow Plow is included GVWR 36220 Front 13220 Rear 23000 Starts,runs,and drives. A transmission seeps fluid. There is wear in the seats GovDeals.com - Bid on Government Auctions to buy Government Surplus. Description:Used 2006 Ford F750 for sale - Call with 93,425 miles. 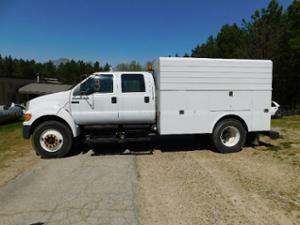 Online Government Auction - Ends 4/30/19 **BID PRICE REFLECTS CURRENT HIGH BID AND IS SUBJECT TO CHANGE AT ANY TIME DURING THE ONGOING AUCTION** 2006 Ford F-750 Crew Cab 2WD DRW CREW CAB CHASSIS 4-DR, 7.2L L6 DIESEL. Starts with a boost. Driven 5 miles to the lot. Sometimes the truck stops running and is difficult to start back up. Front and rear seats have tears. AM/FM radio. A/C condition unknown. All decals have been removed leaving impressions. Exterior has scratches, dings, dents. Please inspect prior to placing a bid. Items offered for sale are used and may contain defects not immediately detectable. All items are sold "AS IS, WHERE IS" and no warranty, guarantee, or representation of any kind is expressed or implied. Once an item has been removed from seller's location, all sales are final. GovDeals.com - Bid on Government Auctions to buy Government Surplus. Description:Used 2011 International 7400 for sale - Call with 80,493 miles. 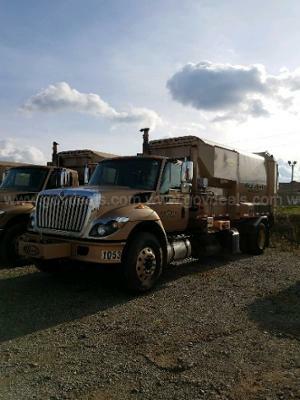 Online Government Auction - Ends 5/2/19 **BID PRICE REFLECTS CURRENT HIGH BID AND IS SUBJECT TO CHANGE AT ANY TIME DURING THE ONGOING AUCTION** 2011 International Workstar 7400 CONVENTIONAL CAB, 9.3L L6 DIESEL (Vehicle #1050) Vehicle starts, runs and is drivable. Vehicle last driven November 2018. Front tires good condition. Rear tires-fair condition. No cracked glass. Decals will be removed before pickup. Vehicle maintained on a regular basis (see attached Inspection and Maintenance history). Automatic transmission. Working A/C. AM/FM CD. Cruise control. Power Seats. Exterior-Tan Interior-Gray. Packer Body 24 Cubic Yards. PLEASE NOTE: Known needed repairs- Odometer works intermittently. Minor body damage to front drivers side fender. Minor scratches and dents on exterior. Interior drivers seat cracked. GovDeals.com - Bid on Government Auctions to buy Government Surplus. 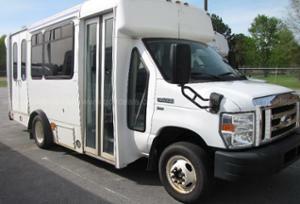 Description:Used 2005 Blue Bird Vision for sale - Call with 146,016 miles. 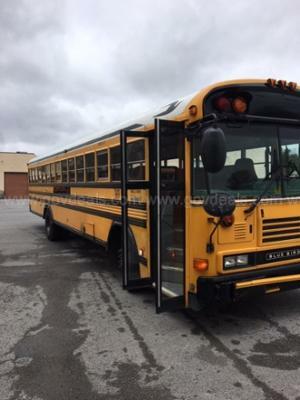 Online Auction for Commercial Surplus – QAL # 9379-24 - Ends 4/30/19 **PRICE REFLECTS CURRENT HIGH BID AND IS SUBJECT TO CHANGE AT ANY TIME DURING THE ONGOING AUCTION** 2005 Blue Bird Vision BUS, 7.2L L6 DIESEL. SCRAP BUS ONLY, ENGINE AND TRANSMISSION ARE GOOD BUS BODY IS RUST. AuctionDeals.com, powered by GovDeals is the online auction platform where you can bid on and buy commercial assets. Description:Used 2005 Blue Bird Vision for sale - Call with 123,431 miles. Online Auction for Commercial Surplus – QAL # 9379-23 - Ends 4/30/19 **PRICE REFLECTS CURRENT HIGH BID AND IS SUBJECT TO CHANGE AT ANY TIME DURING THE ONGOING AUCTION** 2005 Blue Bird Vision BUS, 7.2L L6 DIESEL. GOOD ENGINE AND TRANS, BODY HAS RUST. AuctionDeals.com, powered by GovDeals is the online auction platform where you can bid on and buy commercial assets. Description:Used 2003 Blue Bird All Amercian for sale - Call with 172,145 miles. 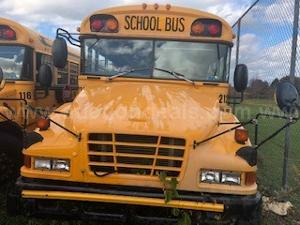 Online Auction for Government Surplus – QAL # 11253-6 - Ends 5/2/19 **PRICE REFLECTS CURRENT HIGH BID AND IS SUBJECT TO CHANGE AT ANY TIME DURING THE ONGOING AUCTION** 2003 Blue Bird All American/All Canadian BUS, 7.2L L6 DIESEL. 90 Passenger Transport Bus. Caterpillar Diesel Motor/Allison Transmission. The unit is currently running and was removed from service on April 15, 2019. GovDeals.com is the online auction platform where you can bid on and buy government surplus. 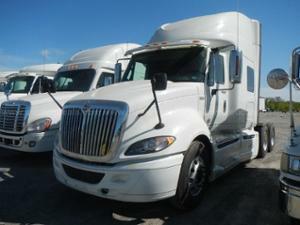 Description:Used 2011 International 7400 for sale - Call with 84,277 miles. 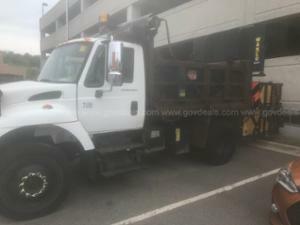 Online Government Auction - Ends 5/2/19 **PRICE REFLECTS CURRENT HIGH BID AND IS SUBJECT TO CHANGE AT ANY TIME DURING THE ONGOING AUCTION** 2011 International Workstar 7400 CONVENTIONAL CAB, 9.3L L6 DIESEL (Vehicle #1053) Vehicle starts, runs and is drivable. Vehicle last driven November 2018. Front tires good condition. Rear tires-fair condition. No cracked glass. Decals will be removed before pickup. Vehicle maintained on a regular basis (see attached Inspection and Maintenance history). Automatic transmission. Working A/C. AM/FM CD. Cruise control. Power Seats. Exterior-Tan Interior-Gray. Packer Body 24 Cubic Yards. PLEASE NOTE: Known needed repairs- Missing mud flaps. Armrest has damage. Minor scratches and dents on exterior. GovDeals.com - Bid on Government Auctions to buy Government Surplus. Description:Used 2009 Sterling Acterra for sale - Call with 32,441 miles. Online Government Auction - Ends 5/2/19 **BID PRICE REFLECTS CURRENT HIGH BID AND IS SUBJECT TO CHANGE AT ANY TIME DURING THE ONGOING AUCTION** 2009 Sterling Acterra CONVENTIONAL CAB, 6.7L L6 DIESEL. Starts, runs, and drives good. Automatic Allison 2000 Series transmission, 6.9 L Cummins diesel engine. No known drivability issues. The PTO and pump are fully functional, but all nozzles do not work. Exterior: White with dings and scratches. No cracked glass. 2,300 Gal water tank Interior: Tan vinyl seats, cold A/C, AM/FM radio. Decals have been removed, impressions remain. Equipment may have been removed; there may be holes in the interior and/or exterior, which may or may not have been plugged. GovDeals.com - Bid on Government Auctions to buy Government Surplus. Description:Used 2012 Ford Econoline E350 for sale - Call with 193,707 miles. Online Auction for Government Surplus – QAL # 5767-56 - Ends 5/7/19 **PRICE REFLECTS CURRENT HIGH BID AND IS SUBJECT TO CHANGE AT ANY TIME DURING THE ONGOING AUCTION** 2012 Ford Econoline E350 CUTAWAY, 5.4L V8 SOHC 16V. 20 FT. LIGHT TRANSIT VEHICLE WITH (2) WHEELCHAIR STATIONS. TOTAL CAPACITY 6+2. GASOLINE ENGINE. SERVICED EVERY 5,000 MILES. GovDeals.com is the online auction platform where you can bid on and buy government surplus. 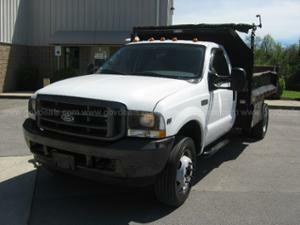 Description:Used 2002 Ford F650 Reg Cab 2wd Drw for sale - Call with 68,500 miles. Online Auction for Government Surplus - QAL #11198-1 Ends 5/10/19 2002 Ford F-650 Regular Cab 2WD DRW CONVENTIONAL CAB, 7.2L L6 DIESEL. Arborist Tree Trimmer Dump Body. Automatic Transmission with PTO. No A/C. Maintenance Schedule every 17 weeks or 3,000 miles.